The accordion world was saddened to learn of the passing away of renowned composer Anatoli Kusiakov on July 11, 2007. Kusiakov was born in the region of Ushe Ivanovsk on June 7, 1945. He finished his studies of composition at the music pedagogical Institute of Rostov (class of L. P. Klinitchev) in 1971 and reached the grade of Aspirantura at the Conservatory in Moscow (class of S. A. Balasanyan) in 1974. Since 1974 he has been teaching composition and instrumentation, became Rector (1981-88) and since 1989 Professor at the Music Pedagogical Institute in Rostov (since 1992 called the Rachmaninoff Conservatory). Renowned for his composing and teaching, he was awarded the Merited Artist of Russia title in 1986. 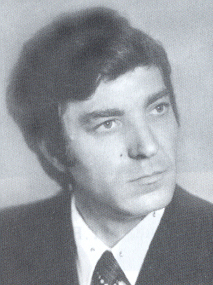 He was prize-winner at the all Russian Competition for composers in 1977. In 2003, the Confédération Internationale des Accordéonistes (CIA) awarded Kusiakov the CIA Merit Award, at the General Assembly of Delegates in Helsinki, Finland in recognition of his life long work and outstanding contributions to the International accordion movement. During the 15th International Festival "Bayan and Bayanists" held in Moscow in December 2004, a concert was dedicated to his works which have had a great influence on the bayan literature. On this occasion the Silver Disk for special achievements attained during a musical career was awarded to him. Note: Sonata No. 7 is believed to have been his last work, and Mika Väyrynen will perform the world premiere in Spring 2008.